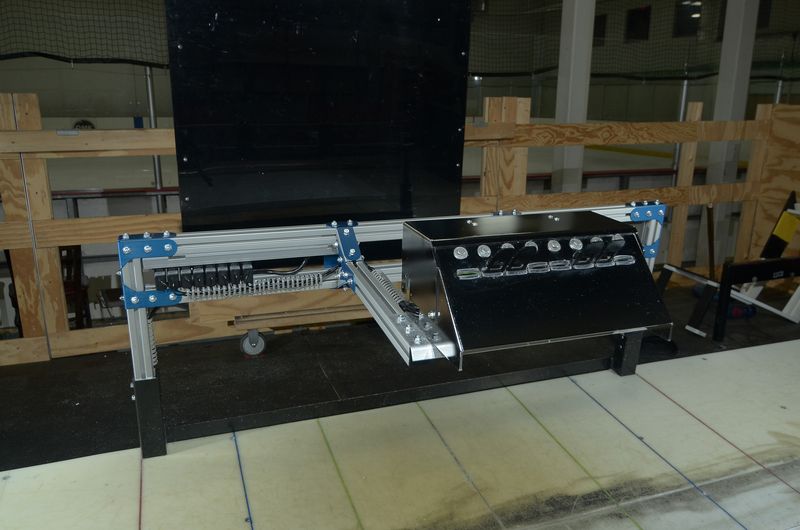 Getting time out on the ice is a key component to perfecting technique and in-game performance, but with today’s level of competition at all ages, off-ice treadmill workouts are also a highly efficient tool in every trainer and coaches regimen. Being able to keep consistent stride between the two different surfaces can be frustrating and time consuming for both trainers and players. Technique driven coaches can teach proper form faster and easier. 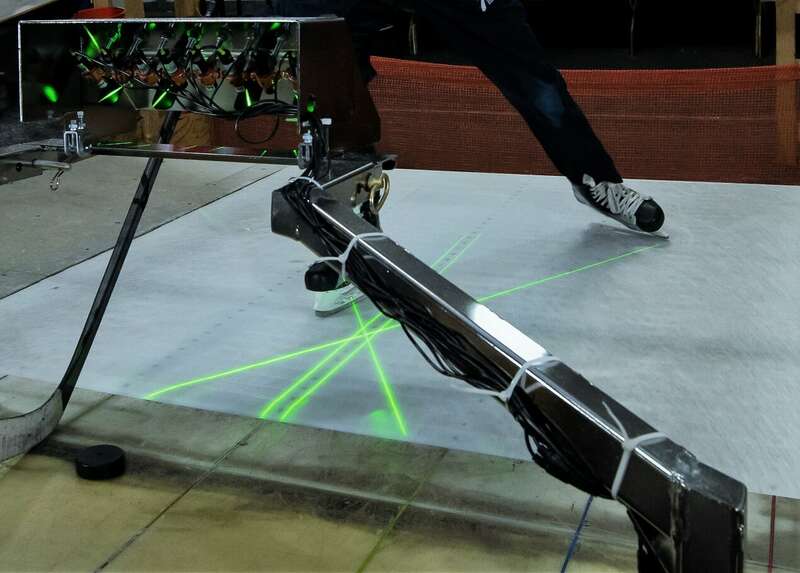 Skaters can visualize and improve their stride in real time. 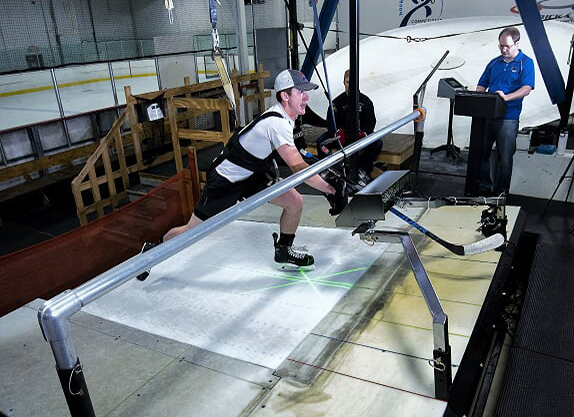 Guides adjust to accommodate low to high speed skating as athletes get stronger. Integrates into any skating treadmill. In the end, it’s all about what happens in the game. Watch your athletes develop faster and perform at a higher level out on the ice. Shorten the time it takes for athletes to understand proper technique and improve stride. Easily teaching stride technique to athletes allows coaches and trainers to focus on other areas and provide more value with each workout. 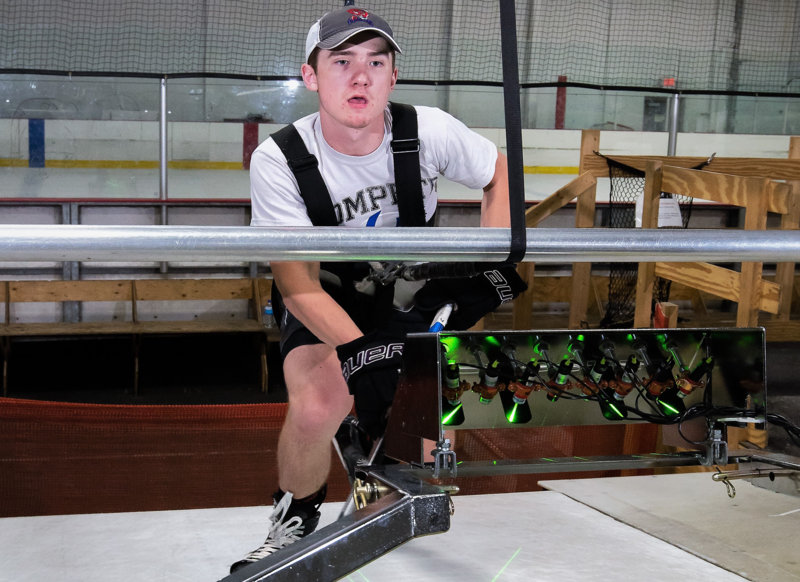 Skating treadmills are tremendous off-ice training tools, but the physics behind skating on plastic versus ice can negatively affect an athlete’s muscle memory. Rather than pushing with optimal stride width, treadmills tend to cause players to push more to the back then they would on the ice. For athletes and trainers, it’s important to fight back against this habit to ensure technique is not regressing. 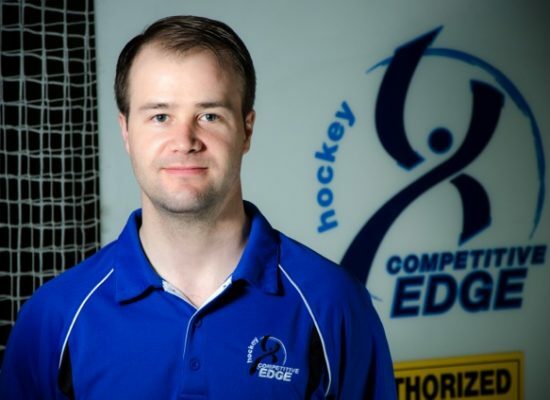 The hockey training experts at Competitive Edge knew there was a simpler way to show hockey players how to push the correct direction when skating. 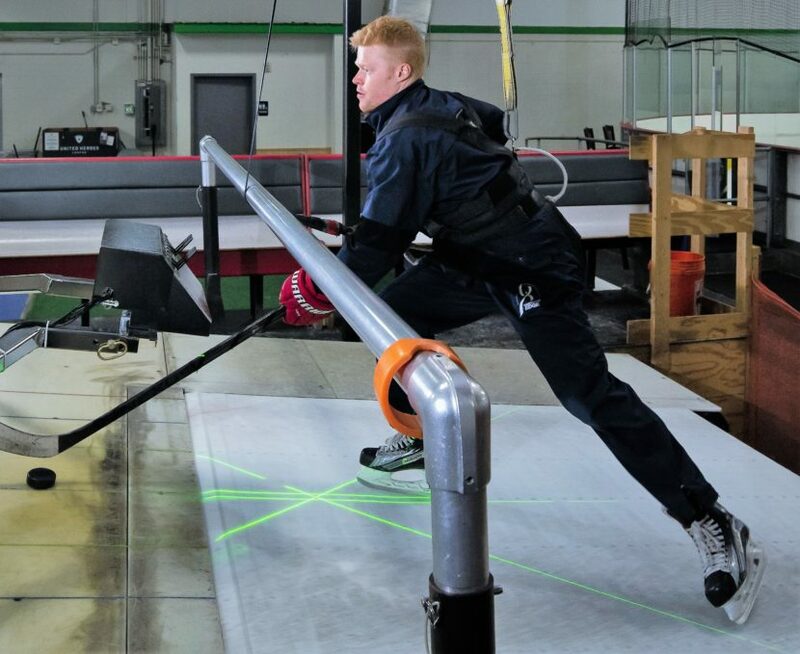 The projected lasers on the Stride Matrix, along with a mirror in front of the treadmill, is an effective tool for helping skaters see their form in real time and make the necessary adjustments. Being able to see proper and improper form as they skate is an invaluable training tool that allows players to rapidly progress and reinforce the correct muscle memory, with or without a coach's feedback. 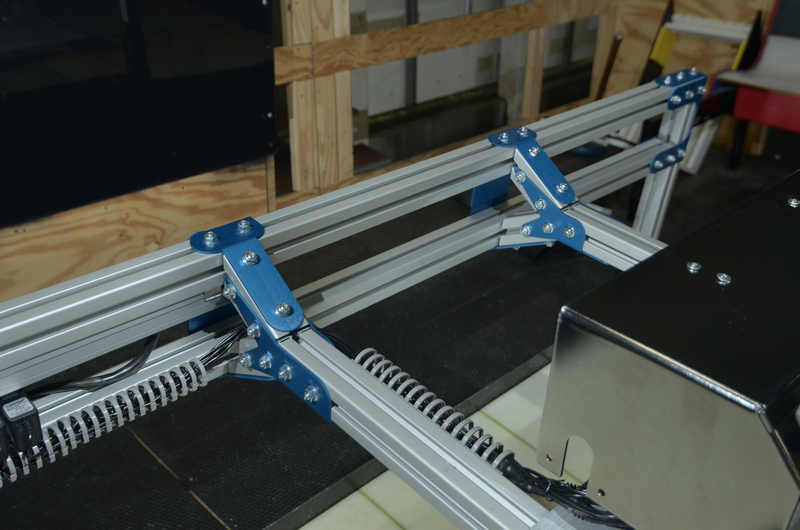 With a dynamic system that is adjustable to incline and width of stance, this tool can be used at all speeds and strength levels to ensure continual progress. 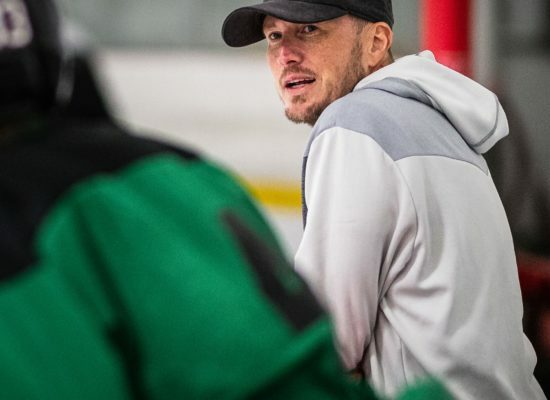 From Stanley Cup champions to youngsters just learning the game, Andy Blaylock, Bryan Osmondson, and Scott Brokaw have worked with hundreds of hockey players across all levels of the sport through their revolutionary Competitive Edge training program. Their scientific and highly personalized approach to player development has generated outstanding results for their athletes on the ice. 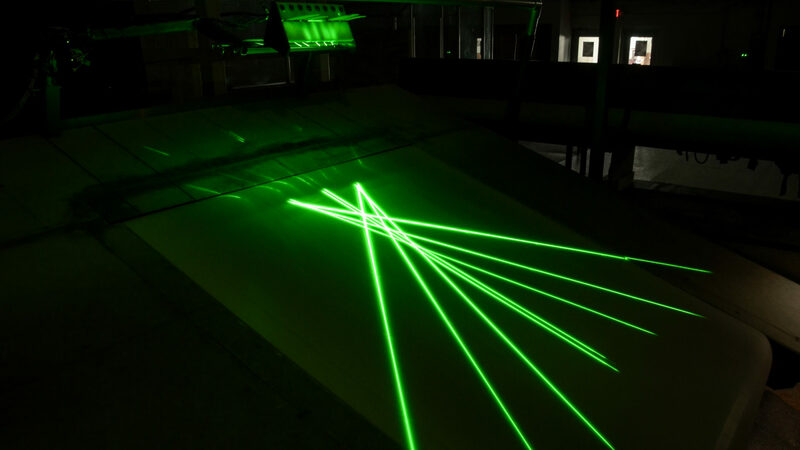 Having dedicated extensive time to correcting push direction for skaters on treadmills, these trainers came upon the idea of laser projected guides to help athletes visualize the correct form. Mere months after creation, the Stride Matrix has helped the coaches and athletes at Competitive Edge achieve quicker and easier results. 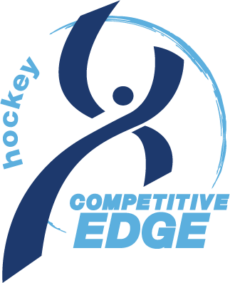 They look to share this tool with other technique driven trainers and coaches to improve the game of hockey everywhere. Final price is dependent on level of customization. Contact us for a free quote. We accept payment plans. Contact us to discuss in detail. 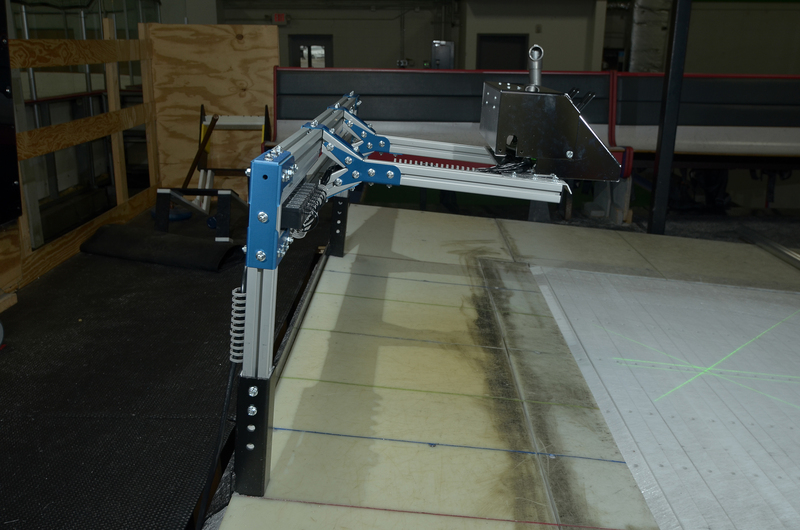 The Stride Matrix can be returned within 30 days of delivery. After 30 days time, all transactions are final. Stride Matrix offers a lifetime warranty on all components of the product. This warranty does not cover damage caused by misuse, improper alterations, accidents, or use in abnormal conditions.